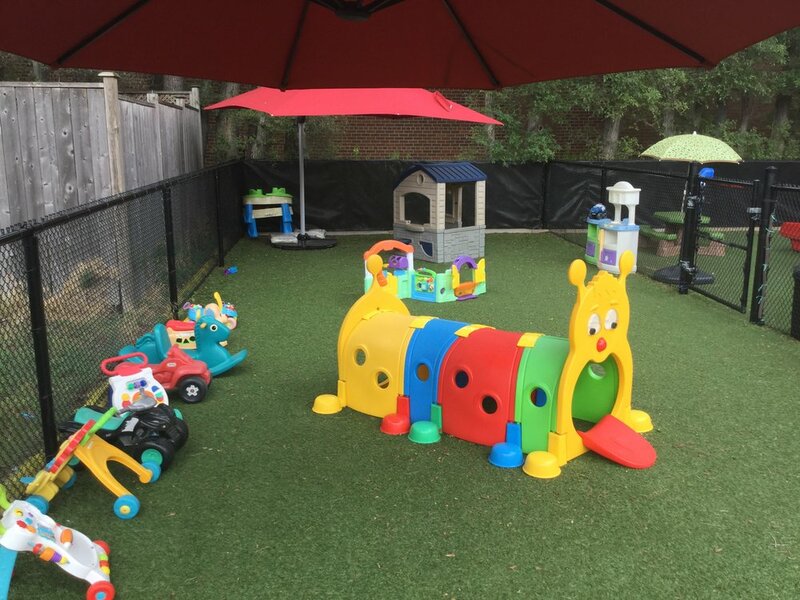 Islington Village Child Care Centre has been designed in such a way that although we have the capacity to nurture and care for 105 children, each group has their own individual area outfitted with age appropriate furnishings and activities. We want each child to feel secure with their surroundings, care giver and friends but still be part of our larger day care community. We've built our space to be a child friendly environment in function, finish and colour. Included are elements such as oversized windows for maximum natural light, spacious hallways, non-slip flooring, child-size hand washing sinks, cubby space and free parking. We've also colour coded our rooms starting with a sunny yellow for the youngest ones, a fresh lime green for the toddlers, vibrant orange for the preschool to school age children and our signature red for the special events centre. The Big Apple is our multi purpose classroom where we bring outdoor activities like tricycles and balls inside on rainy or extremely hot and cold days. Children are still able to have daily physical activity which is important for growth and development. We also host guest speakers like an animal specialist or a community helpers such as a dentist/hygenist, bi weekly music classes, a weekly yoga class and preschool graduation in June for children starting kindergarten in September. 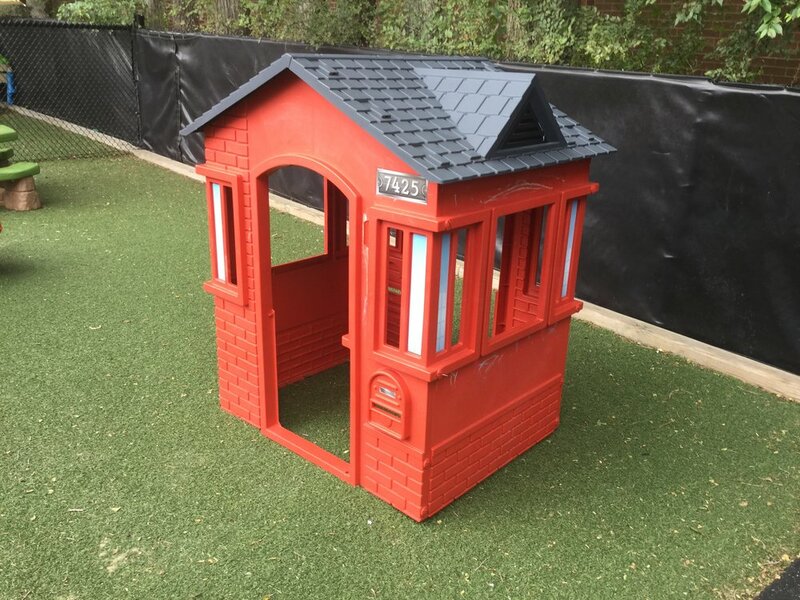 Our playscape is fun physical activity for children from 2 - 12. Bright and colourful, it not only enhances gross motor skills, it also encourage creative role play. Our structure is approved by the Ministry of Education and the CSA.